I thought this was pretty funny! Fresh Pumpkin VS Canned Pumpkin! Okay, so here's where I'm at in terms of comparing canned pumpkin in a recipe versus cooking it on my own. There's a color and textural difference for sure, but in terms of taste and in the last Iced Pumpkin Cookie Recipe I made, I'm kind of partial to the canned believe it or not! I didn't find the taste more or less intense, and although this time the icing turned out better, I still like the texture of the denser canned pumpkin cookie better. The lighter real pumpkin ones puffed up more in the oven, but were no more moist than the canned ones and perhaps even less so. And I didn't mind taking the time to cook the pumpkin, which is usually the argument for using canned. It made the whole house smell delicious! So that was a bonus. 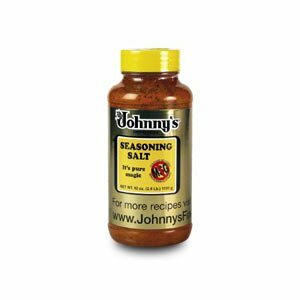 And of course I was able to bake the seeds with some Johnny's Seasoning Salt YUM YUM! Conclusion: Used canned if you really want to save time, it won't sacrifice on the flavor! Bake your own for the experience and to impress your friends, haha! 2. 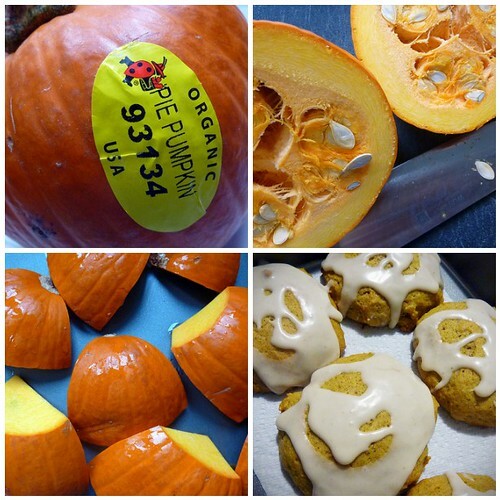 Cut pumpkin into small manageable pieces and cut off pith and seeds. 3. Place cut pumpkin skin side up in a large roasting pan. Add 1/4 inch of water and bake uncovered for 1 hour or until tender. Remove from oven and allow pumpkin to cool. 4. When cooled, cut away skin and mash or puree. I used a hand blender! Use in any recipe that calls for canned pureed pumpkin. With the holidays and a new year approaching, I decided to make a Cupcake Calendar! Ideal for the Cupcake Lover in your family or a friend who can't stop drooling over these delicious confectioneries! All photographs are of course mine. And all were eaten. You'll get better volume from cakes if the ingredients are at room temperature before you begin mixing. Shiny pans are best for cake-making because they reflect the heat and produce cakes with tender crusts. 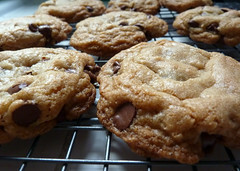 If you use glass baking pans instead of metal, reduce the oven temperature by 25 degrees. Whenever a chocolate cake recipe calls for greasing and flouring the pan, grease it and dust with unsweetened cocoa powder instead. Before measuring sticky sweeteners such as honey or corn syrup, lightly coat the measuring cup or spoon with vegetable oil. The syrup will easily slip out. Don't open the oven door during the first 15 minutes of baking time. Sudden movement or temperature changes can cause a cake to fall. So have fun this winter with old and new recipes and we'll see you back here with something delectable to share!